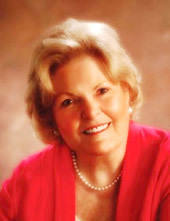 Nancy Roof, Ph.D. is the founder of the award-winning Kosmos Journal: Global Transformation in Harmony with all Life, based on evolving interior development and cultural values as they impact globalization and world community. Kosmos Associates, Inc. is also actively involved in the founding of the Global Commons movement with James Quilligan of the Global Commons Trust. She is a founding member of the Global Commons Initiative, World Wisdom Council, Creating the New Civilization Initiative, 2020 Climate Leadership Campaign, WorldShift 2012 (Ervin Laszlo), Global Alliance for Transformational Entertainment, a Board member of Integral Review, a member of the Research Advisory Board of Ethical Markets and Living Earth TV, and a speaker at Mikhail Gorbachev’s World Political Forum.